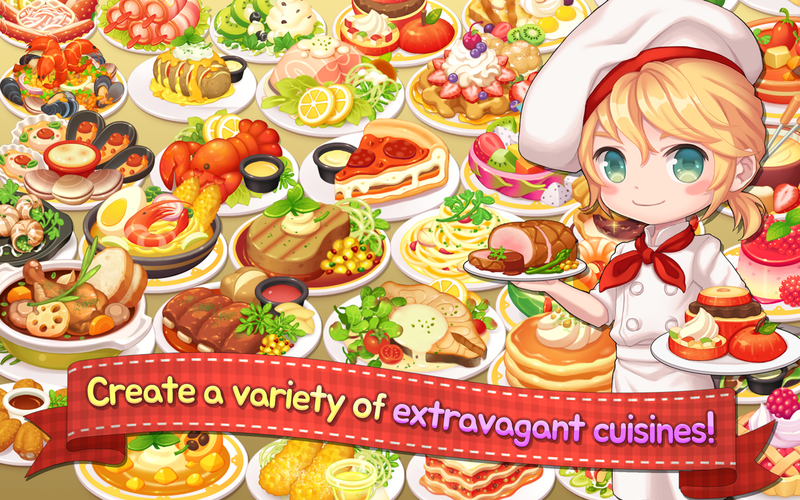 Cook various dishes from around the world! – Make delicious drinks to compliment your dishes! – Chef! One more plate of pasta please! 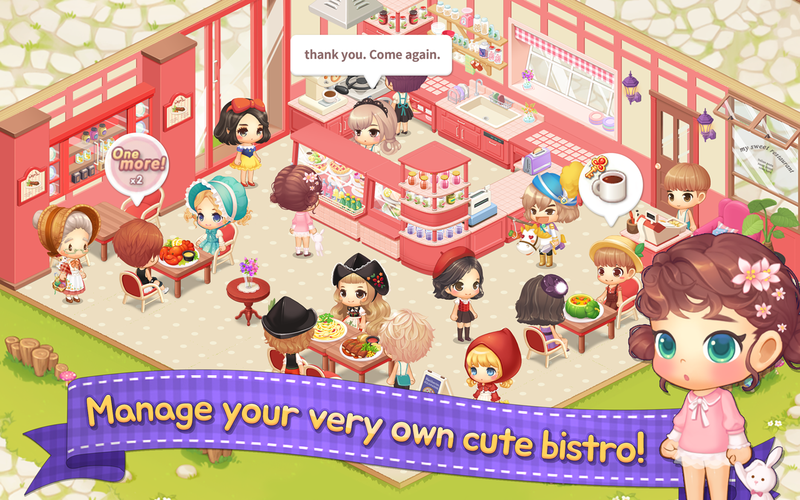 Operate your very own cute bistro! 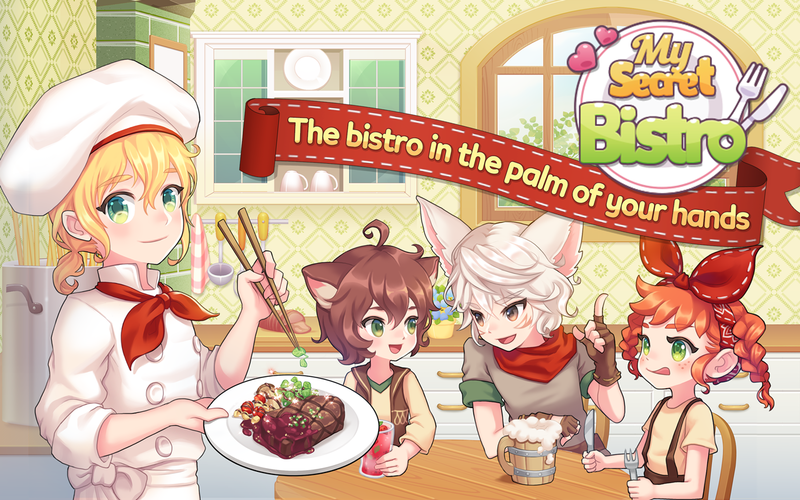 – Build your bistro up to 5 floors! – Try to collect all of the unique servers! – Find fascinating ingredients by exploring unknown lands! Do you have what it takes to be a master chef? – Whew! It’s rewarding to help our friends with their orders! – If you gather 6 chefs, it’s party time! – Fun cooking challenges that you won’t want to miss! Fairy tale characters come to life as customers! – Become a part of a fairy tale by helping out the characters in the quests!